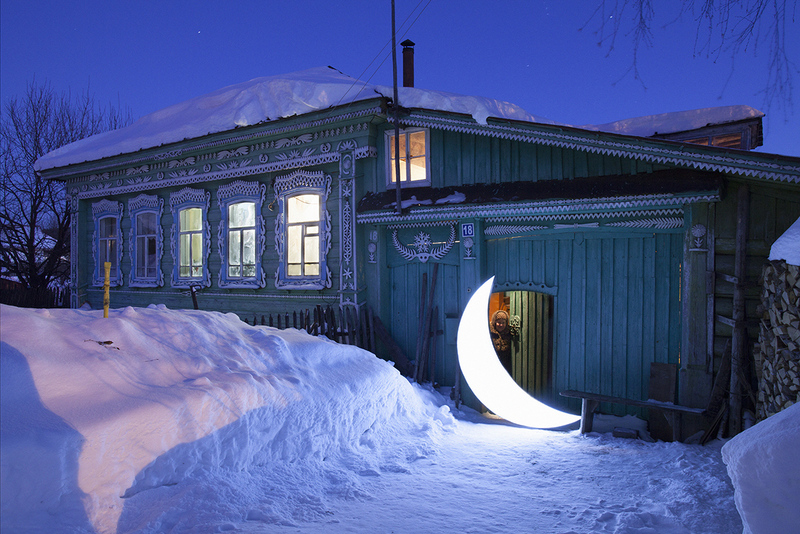 A large personal exhibition by Leonid Tishkov "Look Homeward" opened in Ekaterinburg Museum of Fine Art in winter 2015. 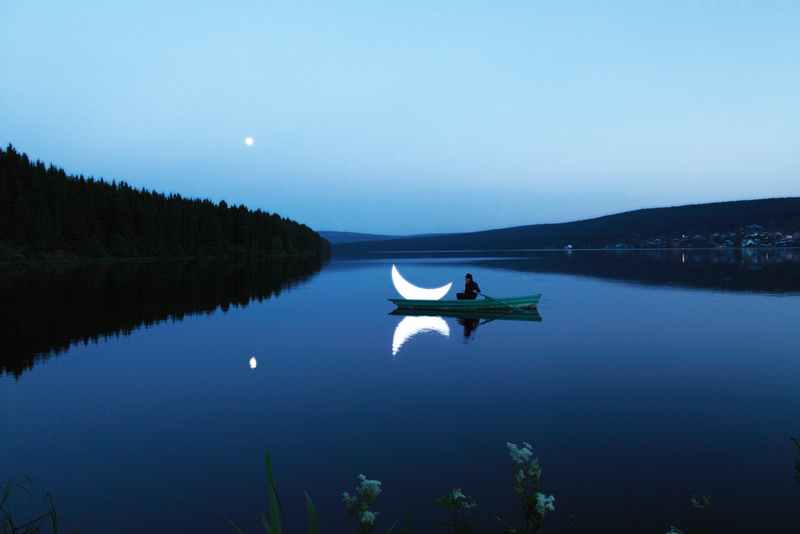 In the main hall of the museum the Private Moon is located on the authentic wooden boat from the small town of Nizhniye Sergi, where the artist spent his childhood. 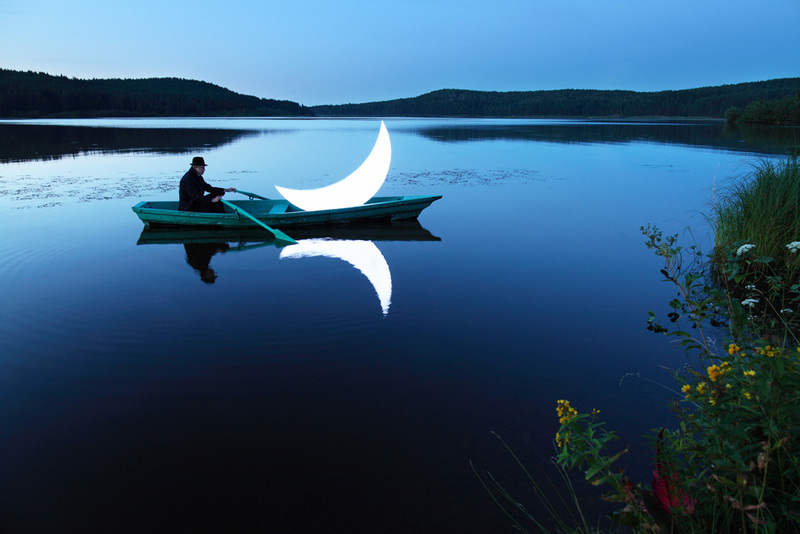 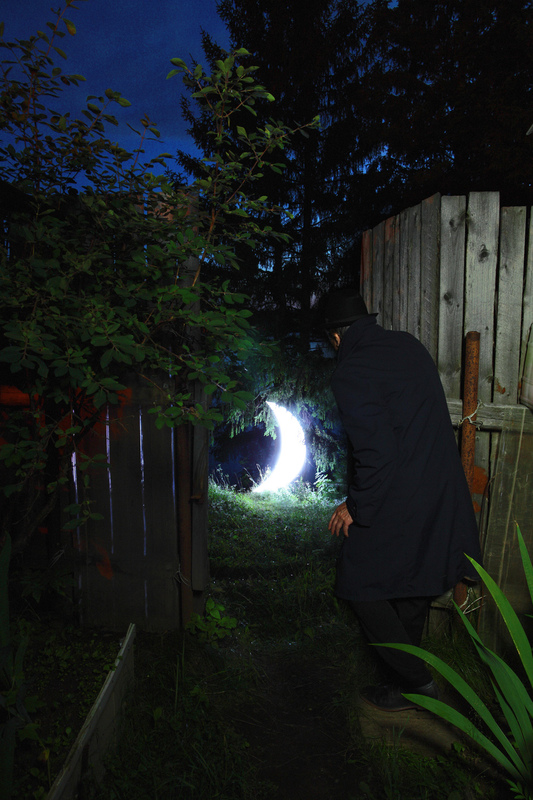 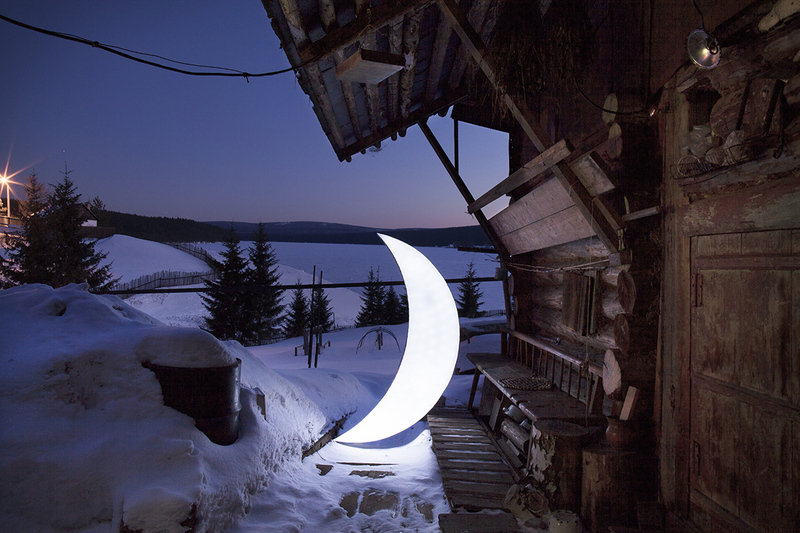 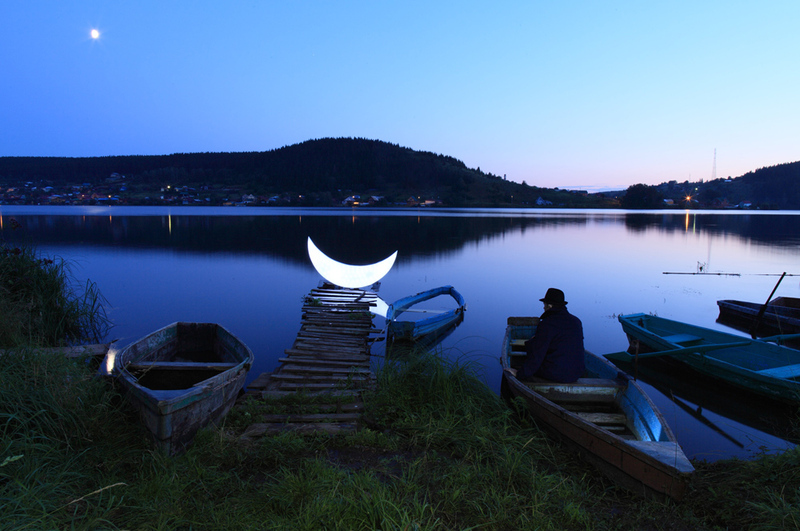 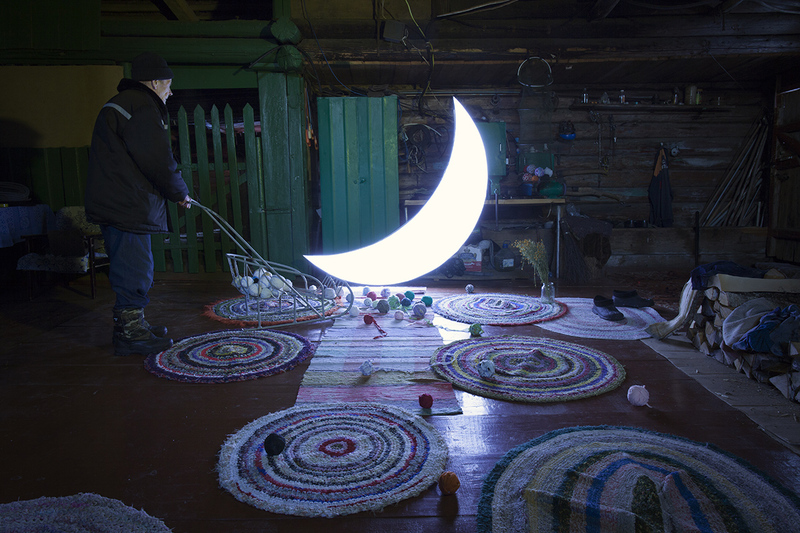 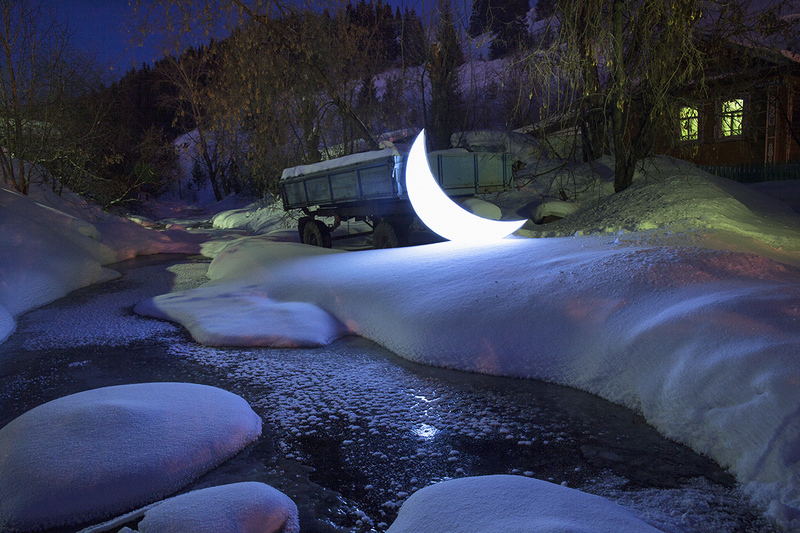 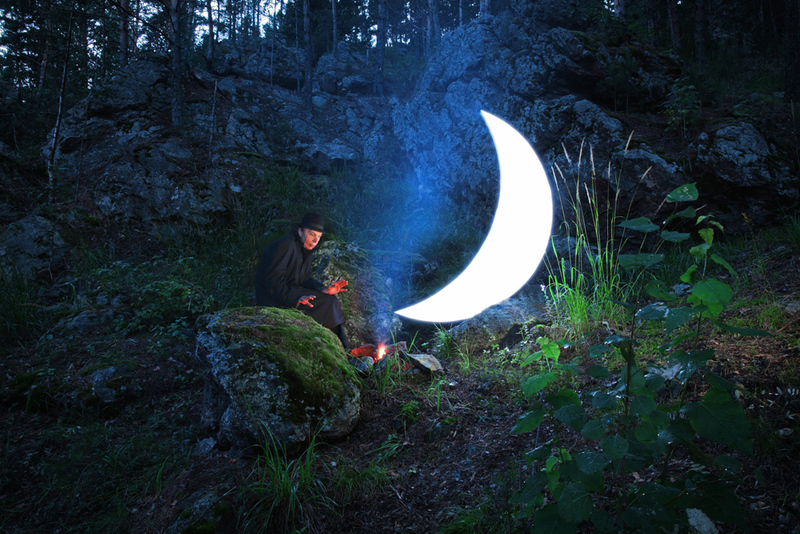 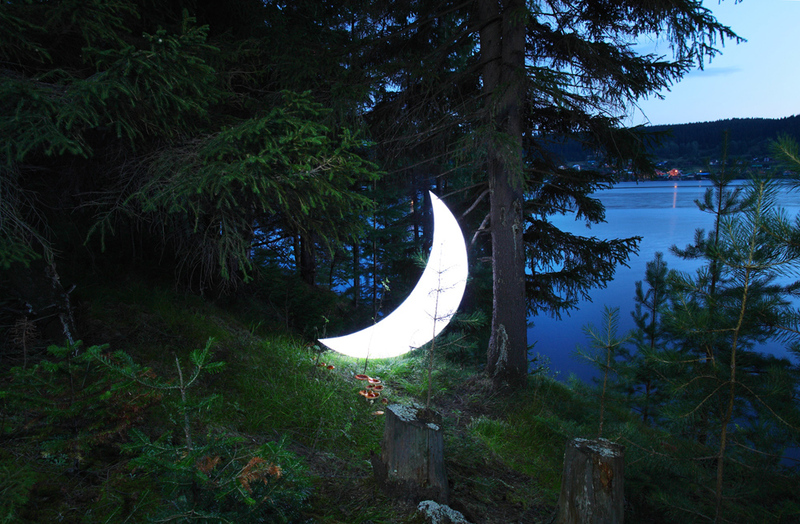 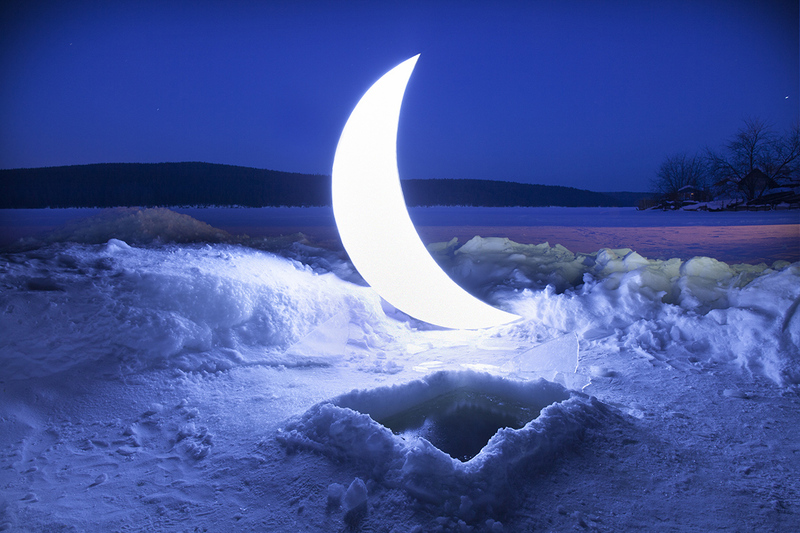 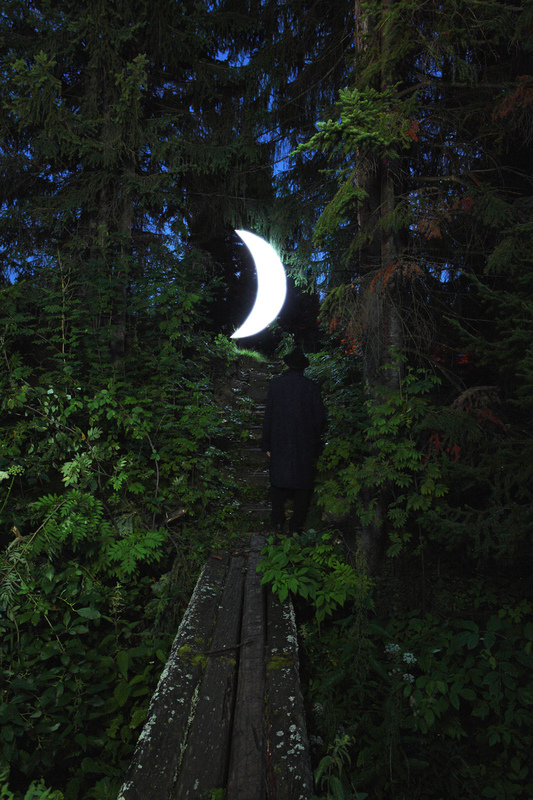 A week before the opening of the exhibition Leonid Tishkov brought the Moon in Nizhnie Sergi and started journey of the Private Moon in the Urals. 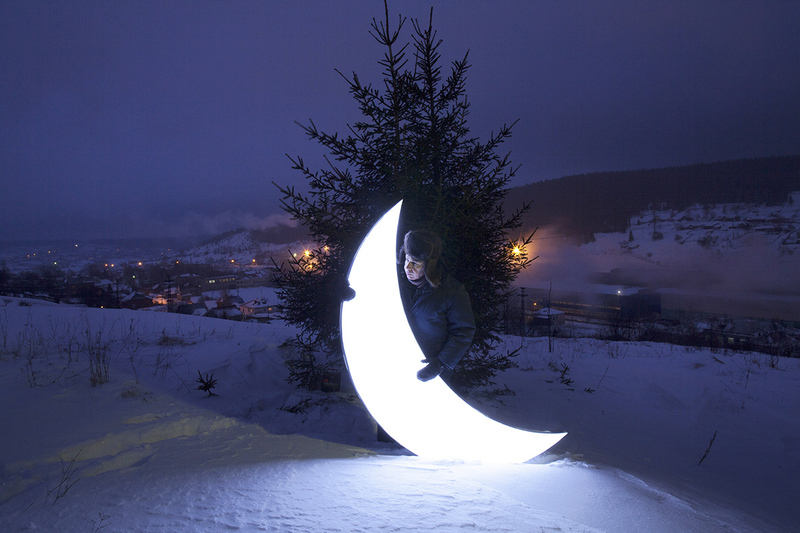 This fabulous winter series of photographs inspired by the myths of ancient mountains is just the first part of the journey that will last all 2015 year.